Sclerotherapy is the treatment of choice for unsightly leg veins. 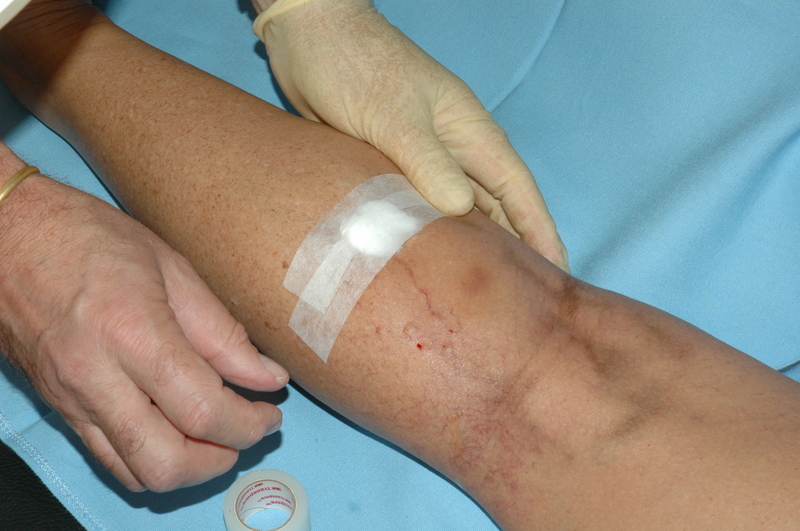 The treatment consist of a series of small injections into the leg veins. 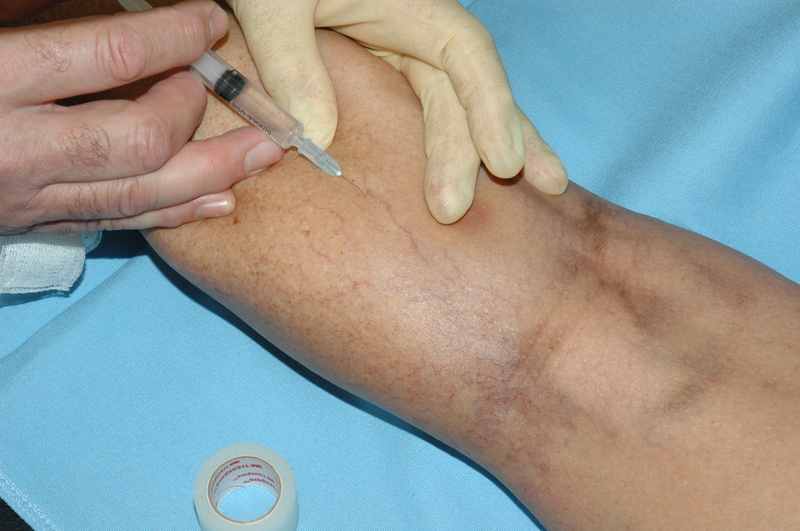 The injections are followed by strapping the injected vein up as shown below. Following injection, the vessel walls become irritated and inflamed as can be seen in the vessel above the strapping. The reason for the strapping is to compress the injected vessel to the point where the opposing vessel walls touch. Because the vessel walls are irritated from the injection, they will tend to stick together, thereby obliterating the vessel. This eventually leads to the absorption and disappearance of the injected vessel over a period of weeks. Treatments are seperated by 4-6 weeks. Can you treat lots of spider veins all over the legs? What does the treatment cost? Dear K. I use sclerotherapy. The cost is about R1600 per session. The number of sessions is related to the number of veins and you response to treatment. Would this treatment be covered by Discovery Health as it is really necessary? Dear Pat. It is normally not covered by medical aid, if the sclerotherapy is done for a cosmetic reason.